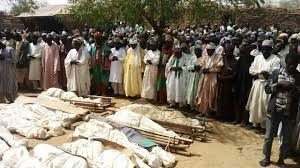 President Buhari condoles Zamfara emir over recent killings as PDP accuses the Presidency of paying lip service to national security – Royal Times of Nigeria. 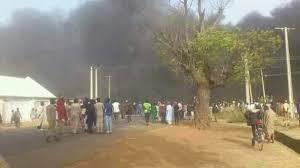 On Sunday, the police in Zamfara confirmed that 18 people were killed when bandits attacked Birane village in Zurmi Local Government Area of the state. President Buhari reiterated his administration’s determination to do everything it would take to secure the state and the nation in general, and would bring such attacks to an end. Meanwhile, the Peoples Democratic Party, PDP, has condemned the unabated killings, saying it is deeply worried and shared in the anguish of the victims and relations of the slain. The opposition party while accusing President Muhammadu Buhari of paying “lip service”, asked the President to provide adequate security for Nigerians even as the killings across the country escalates. While commiserating with the people, the PDP called for calm and full cooperation with security agencies to track down and bring the marauders to book.